I absolutely love everything about this outfit. 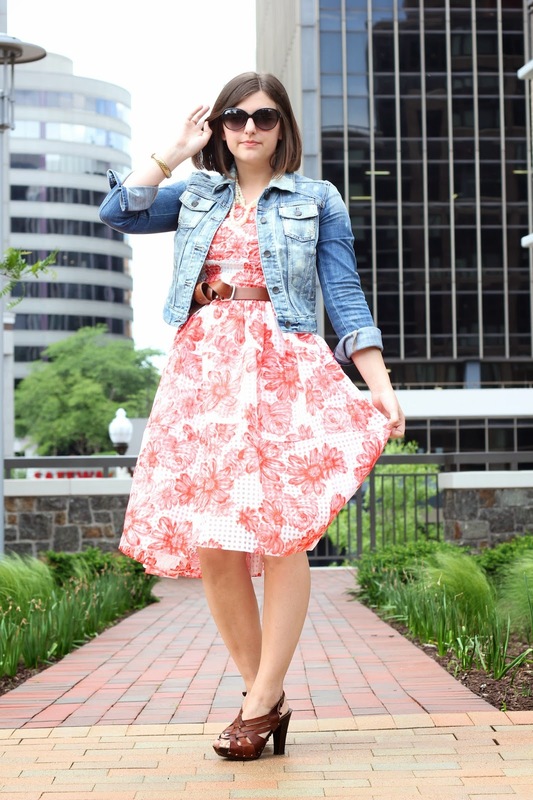 It's no secret that I love a good jean jacket and dress combo, but the print and cut of the dress is so pretty on you and those shoes are fabulous!! That dress is super pretty! I am a little jealous because now I want it! Alissa, I will say if you do indeed go ahead and buy it…I would recommend going up a size. I got what I thought was a true to size and it was a little snug when zipping up. Super cute dress tho!!! Super cute dress! Such a fun summer print!